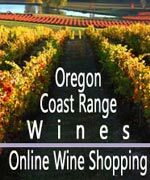 (Yachats, Oregon) – A phenomenal amount of fun continues on the central Oregon coast in October and November in both Yachats and Florence. The enormous Yachats Celtic Music Festival is one of the highlights, but then the holidays kick in and you start to get a glimpse of heretofore unseen attractions like the light keeper's quarters at Heceta Head Lighthouse, a month filled with cheerful celebrations and lots of music and theater. These are a few of the high points in the two central Oregon coast burghs. Open Mic Night Third Sundays: music, poetry, prose, performance - held from 7 pm to 9 pm, Green Salmon Coffee & Tea, 220 Hwy 101. Yachats, Oregon. November 10 -12. Yachats Celtic Music Festival. Returning for its 17th year. More than a dozen musical acts, workshops and presentations, dancing, jam sessions, beer and whiskey tastings. Prices vary. Yachats Commons, Hwy 101 & W 4th St. Yachats, Oregon. yachatscelticmusicfestival.org/. November 16. 5th Annual Cape Perpetua Land-Sea Symposium. This year's event will feature keynote speaker William Pearcy, of Oregon State University, sharing his research and significance of Heceta Bank. 5:30 p.m. Yachats Commons, Hwy 101 & W 4th St. Yachats, Oregon. November 26. Xmas Wreath Yachats Merchants' Holiday Open House. Shopkeepers across Yachats are hosting this holiday open house offering festive tunes, cookies, treats, hot apple cider, and food and wine tastings at designated businesses. Shoppers can take advantage of discounts, specials, giveaways, and the fifth annual "Yachats Shoppers' Holiday Raffle." 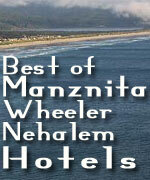 Throughout Yachats, Oregon. November 26. Matt Nakoa in Concert. An intimate afternoon concert. Advance Tickets $12, $15 at the door. Yachats Community Presbyterian Church, 360 W 7th St. Yachats, Oregon. November 23 - January 1. Yachats Winter Celebrations. A month-long series of cozy events, including the performing and visual arts, food, fellowship and holiday cheer. See full updates at yachats.org. October 27. “Nightmares” Haunted Maze at C.R.O.W. Suggested ages are 8 and up, and entry is at parents’ discretion. Admission is $5 per person, per entry. 6 p.m. Center for the Performing Arts. 3120 Hwy 101, Florence. 541-999-8641. www.crowkids.com. November 3 – 12. Annie, The Musical. The original Broadway production opened in 1977 and ran for nearly six years, setting a record for the Alvin Theatre. $20 Adult/$16 LRP Member/$10 for 18 & under. 7 p.m. Florence Events Center. 715 Quince Street. Florence, Oregon. www.eventcenter.org. November 15. The Black Market Trust. A small gypsy/jazz band that plays big, acoustic sounds. Tickets are $32 (adult) and $10 (for those 18 and under). 7 p.m. Florence Events Center. 715 Quince Street. Florence, Oregon. www.eventcenter.org. November 25 - 26. Festival of Trees. A benefit for the Oregon Coast Military Museum. “Walk Through a Winter Wonderland” with over 100 festively decorated holiday trees. Free, but $40 tickets are required for dinner and auction. 10 a.m. Florence Events Center. 715 Quince Street. Florence, Oregon. www.eventcenter.org.